Setting up, improving, and running a children’s ministry program is no small task. From curriculum to volunteer coordination, to classroom setup to safety and security, there are many facets that add up to a successful program. Whether your ministry is brand new or centuries old, it is vital to evaluate from year to year to improve upon the well-being of the children your church serves. 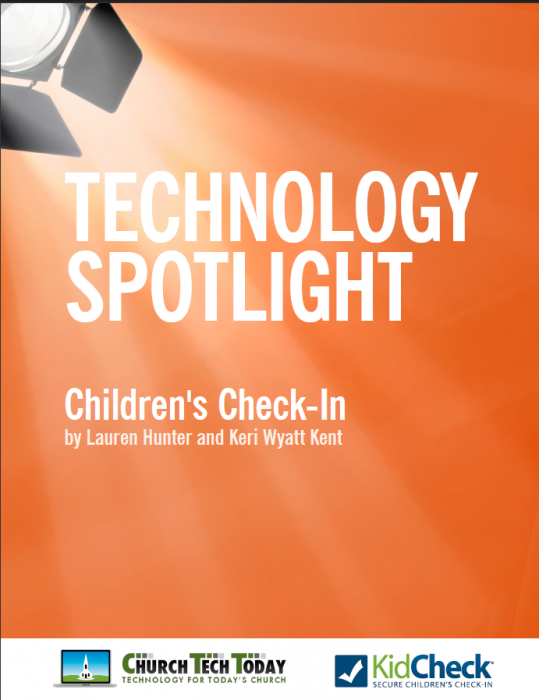 The “Technology Spotlight: Children’s Check-In” ebook is designed to help churches understand the benefits technology, such as a secure children’s check-in system, brings to children’s ministry. Developed by KidCheck, in partnership with ChurchTechToday, it delivers actionable best practice suggestions that can easily be put into practice to help improve your children’s ministry. *Thank you for your interest. You will now receive the Children’s Check-In and Child Safety ebook.